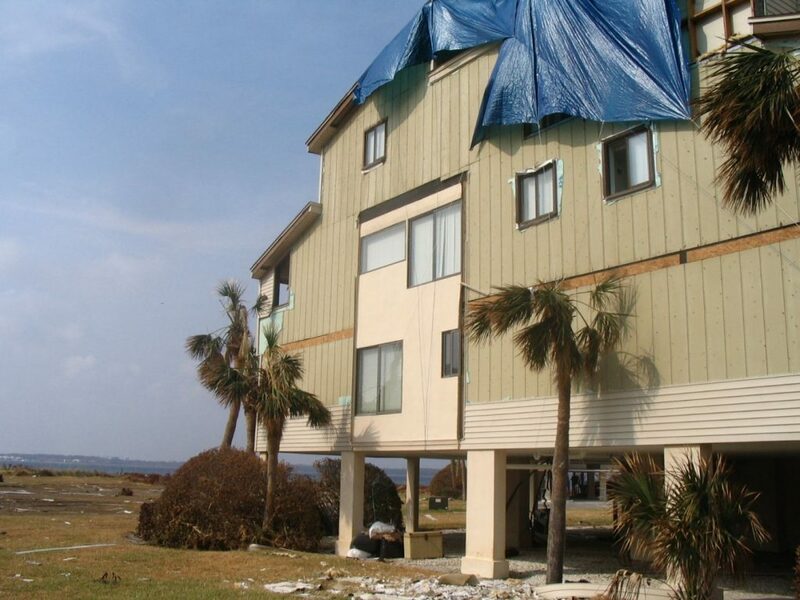 Hurricane damage assessment, forensic engineering and the resulting large loss complex claim dispute resolution or expert witness is the work that Complete does. Our team of engineers, meteorologists, contractors and specialized experts know the difference in damage signatures. We understand what we are looking for in exterior fenestration studies and how it affects the bottom line of a cost estimate. Having both professional engineers sand licensed general contractors under one roof allows us a level of consulting expertise hard to match. Some of the most difficult losses for a person in the claims/construction industry to deal with. 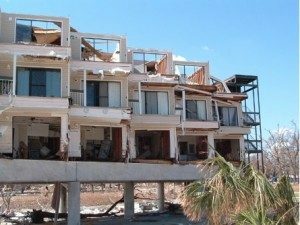 Typically this damage is spread out over 200-400 miles with greater damages on the right side of a landfalling hurricane. This may mean downed trees, power lines, and limited availability to gas or diesel for days and weeks following an event. In many years there may be multiple hurricanes like Charlie, Gene, Francis, and then Ivan, that occurred in 2004. During each event there will be more or less wind, depending on the category and size of the storm when it approaches land. Please see the Saffir-Simpson scale that uses Hurricane meteorological studies to warn residents of anticipated wind speeds at ground level and flood surge from sea level. Wind damages a structure and typically leaves a signature of top-down damage where the highest portions of the building received the most wind. Wind speeds, as posted by the National Hurricane Center and others, are at 10 meters or 33 feet. As wind gets closer to the ground, it is more affected because of friction from urban environment, tree cover, mountainous terrain, and then finally at ground level, the Earth itself. Flood, however, is the opposite. A surge from flood can be many times more powerful than a wind gust depending on height of the surge and the velocity of the flood waters. Flood can easily destroy buildings and infrastructure in its way. The careful study of foundations and their ability to withstand flood damages is contained in the Certified Floodplain Management designation taught by FEMA and held by our staff here at Complete. Wind pressures are usually studied utilizing ASCE 7. The delineation of damages between wind and flood is very complex and includes meteorological study, engineering studies of the as-built environment, and careful inspection of sites after an event.